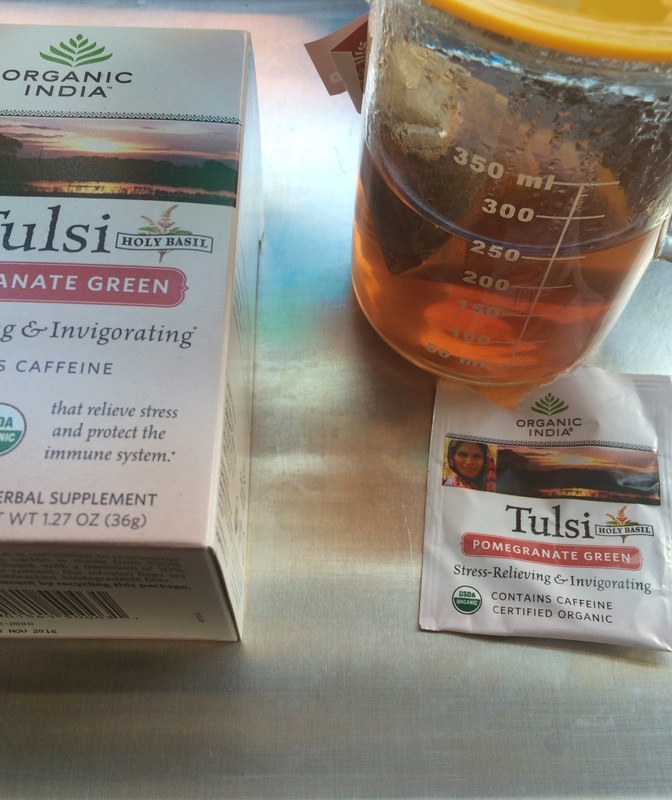 Organic India's core vision is health and wellness through tea, specifically, organic tulsi blends. Tulsi, also known as holy basil, plays an important role in Hinduism. 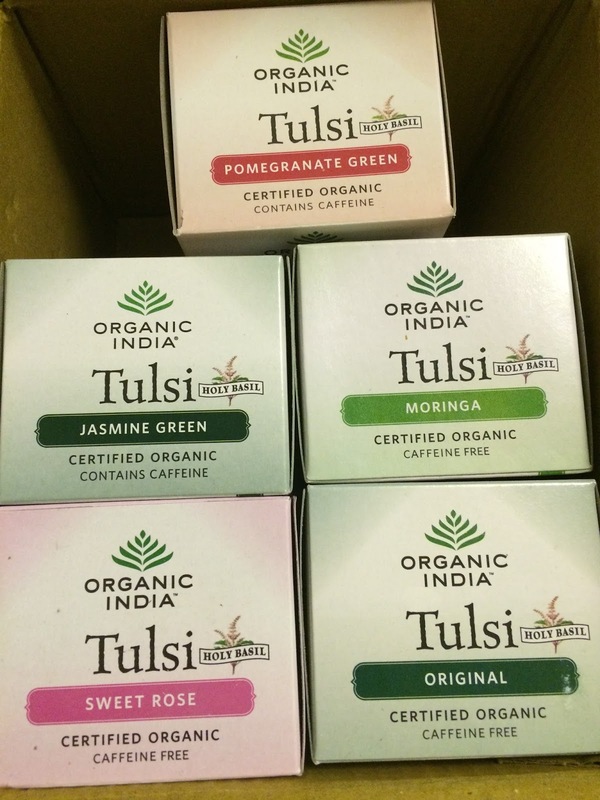 Having never drunken tulsi tea before being contacted by Organic India, I agreed with curiosity to receive the tea for review. The company sent a package with a box of Original and four boxes of the following blends: Moringa, Pomegranate Green, Sweet Rose, and Jasmine Green. I steeped a bag each of the Original and the Pomegranate Green. The Original is sweet with a pleasant basil flavor though not quite like the kinds you use for cooking purposes. The Pomegranate Green is blended with tulsi, pomegranate, hibiscus, elderberries, citrus, and green tea. The dominant flavors in the liquor are hibiscus, citrus, and green tea. The tulsi provides a subtle sweetness. This blend would be a great iced tea (whenever warmer weather arrives and stays). I feel like hibernating today; it's quite cold outside. I think I will try the Jasmine Green next. It's purported to be stress-relieving and enlivening! Teas c/o of Organic India USA. Thank you. I enjoyed the Sweet Rose more than I expected to. It's a nice nighttime steep! That's next then. Hopefully it will usher in spring!